First of all… I didn’t picked up the entire San Francisco Collection that OPI has recently released. I’ve only picked the ones that really caught my eye *patting myself on the shoulder*. 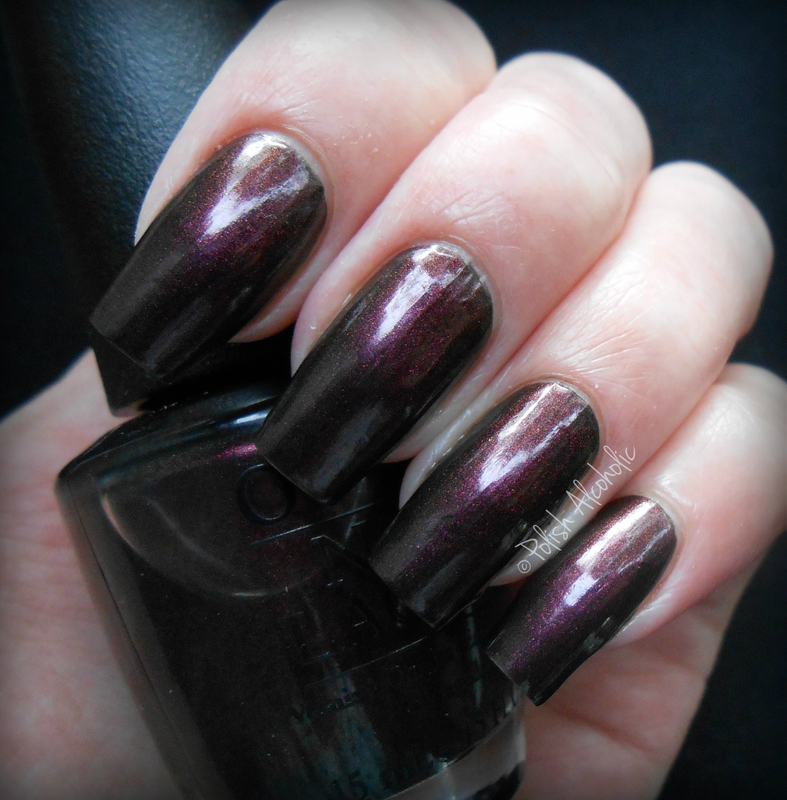 So besides Alcatraz…Rocks and Peace & Love & OPI this one, Muir Muir on the Wall caught my attention: This is a blackened purple hue with lots and lots of gorgeous shimmer. At different angles I can even spot a slight brown/gold duo chrome in it 🙂 The formula is lovely. The first coat is sheer but a second coat makes it completely opaque. This is two coats, no top coat! This entry was posted in OPI and tagged muir muir on the wall, opi, opi san francisco by Polish Alcoholic. Bookmark the permalink. Wow what a gorgeous color. I didn’t get this one either, but it is so pretty! 😀 Aren’t they gorgeous?! I can’t get enough of the textured polishes!